Founded in 2003, Draft Daddy is the work of two fans of the NFL Draft. We strive to provide unbiased fact and knowledge rather than amateur opinion. Matt Bitonti is the publisher of Draft Daddy. 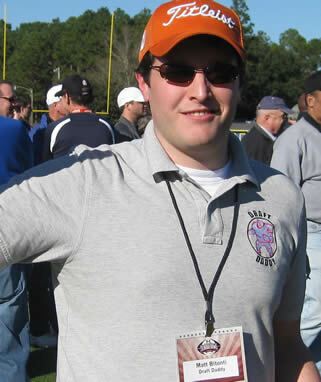 He appears on sports talk AM & FM radio and internet podcasts to discuss the NFL Draft. Follow on Twitter or check the draft blog for the next appearance!